Home Articles Your Might be Creating An Over-Eater and Not Even Know It! Your Might be Creating An Over-Eater and Not Even Know It! How to Handle Young Kids Who Over-Eat. Did you know a child’s stomach is about the same size as his clenched fist? If your child is eating a lot more than this, you might need to help him reign in potential overeating habits so he learns to regulate portions in a healthy manner. Such habits can last into adulthood. 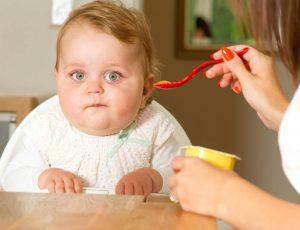 With the children’s obesity epidemic only increasing, you are right to worry if your child is overeating. About 33% of children in the US are overweight or obese! It is just as much because of what these children are eating as it is how much they are eating. This article will provide you with some tips on how to reduce how much your child eats without putting any pressure on your child to eat less. 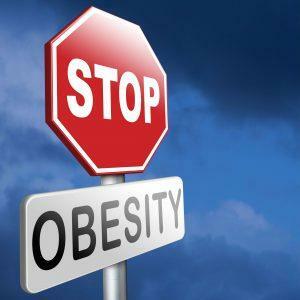 After reading this article, also check out additional articles in our weight management series on our website. We cover everything from how to talk to your kids about their weight, to how to help your child safely lose weight. 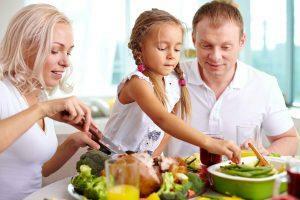 Are Your Encouraging Your Child to Eat Too Much? We as parents want only the best for our children! Sometimes in our efforts to want the best for our kids, we inadvertently send the wrong message to them about how much they should be eating. We know the importance nutritious and healthy foods have for our growing young children, so we encourage, and sometimes even pressure them to eat everything off their plates or to take another bite of their mac and cheese, hot dog or hamburger. We get creative and use whatever means necessary. This can backfire because a child may not learn how to read his or her own internal cue for fullness and end up overeating. A child small tummy might be full before you think your child is full. If you encourage your child to eat, bribe or cajole him than your child might eat well past his fullness point. 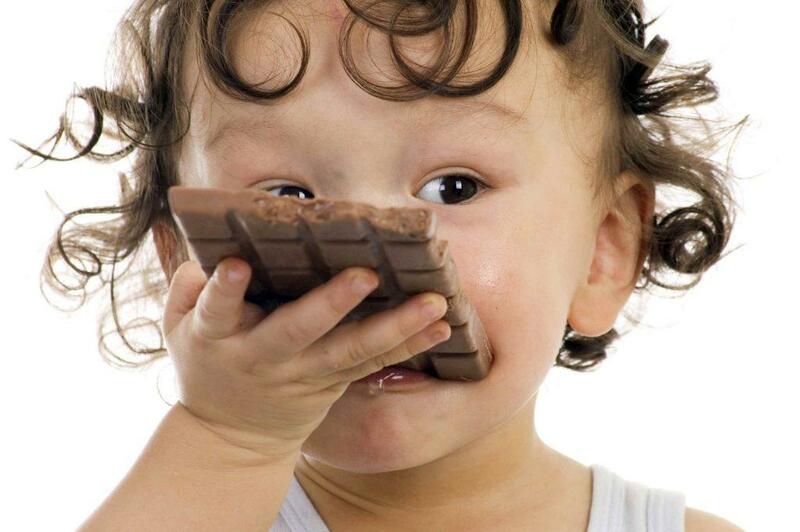 Over time, this can cause children to eat more calories than their body needs for growing and cause weight gain. Avoid creating a sense of scarcity. You want to avoid your child feeling like food is scarce. 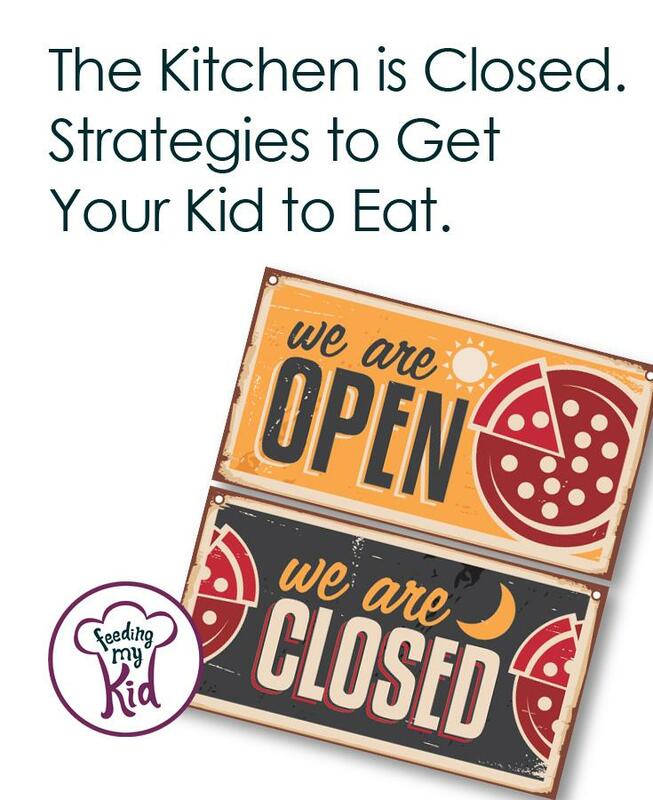 Instead of limiting how much your child eats, serve healthier options. If your child wants to eat more zucchini, then let him! If your child is often over-eating mac and cheese then reduce how often you serve mac and cheese, but don’t deny your child a second helping of mac and cheese at that meal. 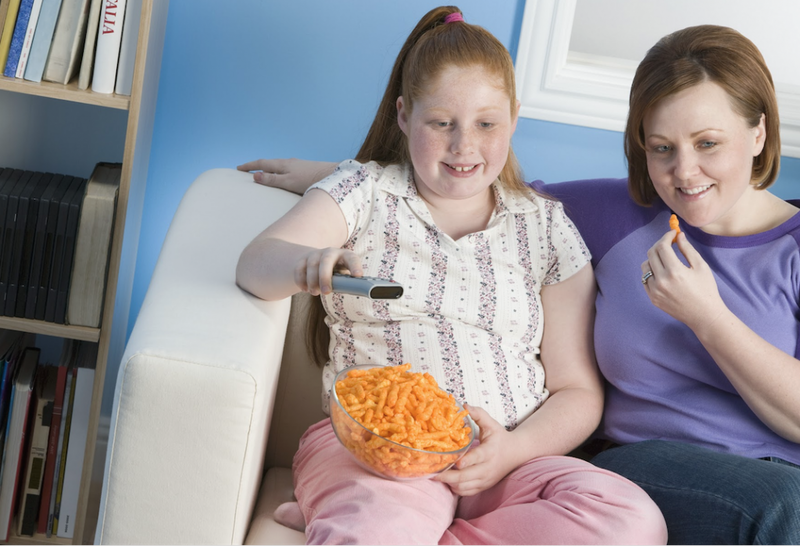 When kids see that you are limiting their portions or meals, they end up over-eating. They start to view food as scarce so they end up eating more at each meal. You will need to allow your children to eat as much as they want without any comments or limits. This unlimited food supply only counts for mealtimes and NOT snacks or treat times. There are other strategies that you will need to practice to enable your child to eat less throughout the day, such as helping your child understand their body cues, letting your child get hungry before the next meal and reducing snacking. Please continue below for many more helpful tips. Studies show that children who snack more end up eating more throughout the day. 27% of the calories kids eat throughout the day come from snack foods. You have the power to change this. If you allow your child to do on-demand snacking, we highly recommend you stop. Keep reading to find out why. The article talks about the reasons to implement Eating Zones (below) which will help you stop on-demanding snacking with your child. 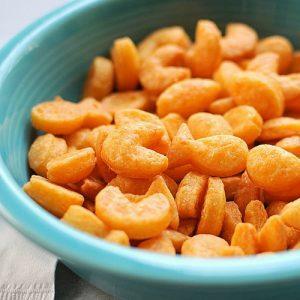 Once you have properly established snack-times, you’ll slowly start introducing healthier and healthier snacks. It’s hard to change habits, that’s why we recommend you implement one step at a time. Check out our ultimate guide to snacking for everything you need to know about snacking. Also, studies show that once children are a little older, around 3-4 years old, you can start cutting out snacks altogether. In France, most children do not even get snacks between meals. 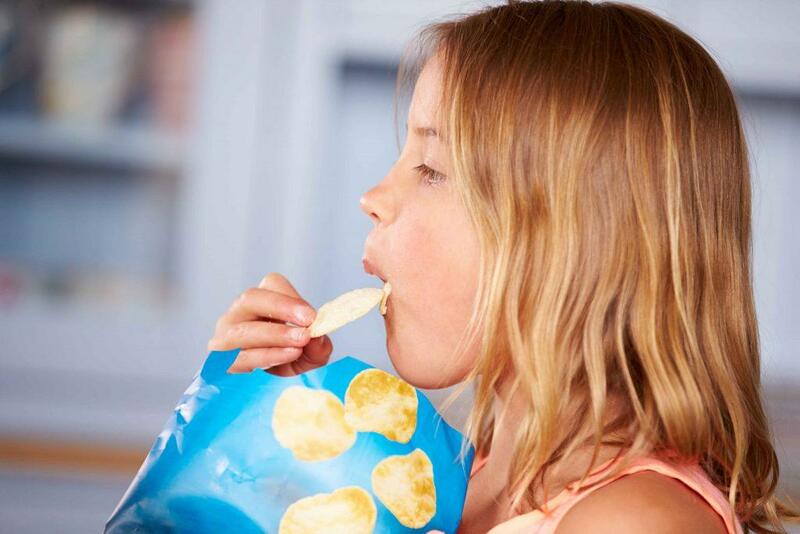 Kids are now eating 168 more calories a day from snacks than they did 30 years ago. Is it possible children are hungrier than they were 30 years ago? The biggest change has come from the availability of processed foods, snacks, and desserts. Years ago, a snack would have been something like an apple. Now, it can be fruit snacks, Graham crackers, Goldfish, Pirate Booty, and the list goes on. These snacks are loaded with sugar, fat, salt and deliciousness. Yes, there is no denying they are absolutely yummy so it’s hard to stop with just eating a few. Find out why it’s so important to cut out offering your child empty calories. It’s very important to NOT let children snack throughout the day or on demand. Create designated eating and snacking times and only allow eating to happen during these times. Do Kids Even Need Snacks? Also, start considering if your kids need snacks at all. “In 2004, a team of researchers studied the eating patterns of a group of 4-6-year-olds and discovered that children eat about 40% more food and 30% more calories over the course of the day when they eat three snacks compared to days when they skip the snacks entirely. If the children needed the fuel they got from snacks, then they would naturally increase how much they ate at meals on no snack days” (Dina Rose, It’s Not About the Broccoli). If children are not given the chance to feel hungry then they don’t learn how to connect feeling hungry with eating. This phase of their lives is all about learning what their bodies can do. It is important that they learn not to be afraid of being hungry. This is so important: In order for our bodies to tell us we are full, it’s best to go from a hungry state to a full state. If you start from a less hungry state, then your body probably won’t tell you that you’re full until you have overeaten. Think of it as a staircase, if you start on the 4th stair then you won’t walk up a full flight of stairs until you are on the 4th stair of the following floor, but now you’ve crossed from being full to being too full… which can lead to overeating. Changing your child’s eating habit is going to be hard. There are no short cuts. Getting children to do something different is challenging and they definitely don’t make it any easier for us. Think of this like potty training. You are trying to get your children to recognize their body cues for when they have to go and then to hold it and go when appropriate. It’s complex and difficult uphill battle, but it obviously can be done. Dina Rose goes into great depth about eating zones in her book It’s Not About the Broccoli. I hope to do it justice. Eating zones are times you designate as mealtimes and snacks times. Kids can only eat during a designated eating zone. If a child decides to not eat much at lunch, but then gets hungry 30 minutes later, he’ll have to wait until the next eating zone, which might not be for another 2 hours. She says that it takes the fight out of on-demand snacks quickly since a child has to realize there is no exception to these rules. Let the eating zone structure do the fighting for you. You want to make sure you explain what eating zones are to your child. You also want to create a schedule and be consistent. If your little one is older and struggles with the eating zones, go ahead and create a chart with a visible clock for your child so he knows when the next eating zone will be. Eating zones also allow you to teach the lesson about consequences, which are lessons that will last a lifetime. If your child doesn’t eat breakfast, then he can’t eat until the next eating zone. This teaches children that the consequence of not eating at mealtime is that they will be hungry. Make sure you are consistent with reinforcing these zones; if you give in, you will teach your children that they can’t trust what you say. Also, if you do on-demand snacking, you are reinforcing the message that you don’t need to eat at mealtime because you can just fill up on snacks later. By three years old, a child should have learned how to listen to their own physical cues about being hungry, full or being too full. Even if your child is older than three, you can still teach him how to listen to his body by simply talking to your child. You can teach children how to read their body cues for fullness and hunger. Read on to learn how. It’s important to talk with your kids about the different types of hunger, fullness, and overeating. It’s important to go into detail about how each one feels. Help kids understand how the body works, from chewing to swallowing and digesting. Depending on how young and visual your child is, you may want to create puppets to help illustrate each feeling, from hungry to full to overeating full. This playful technique can help children understand this complex point. Try to repeat this lesson as your child experiences different points of hunger and fullness throughout the day to help illustrate your point. Researchers have found that by doing this at least once a week for 4 weeks, 70% of the children in the study were better able to self-regulate their eating. 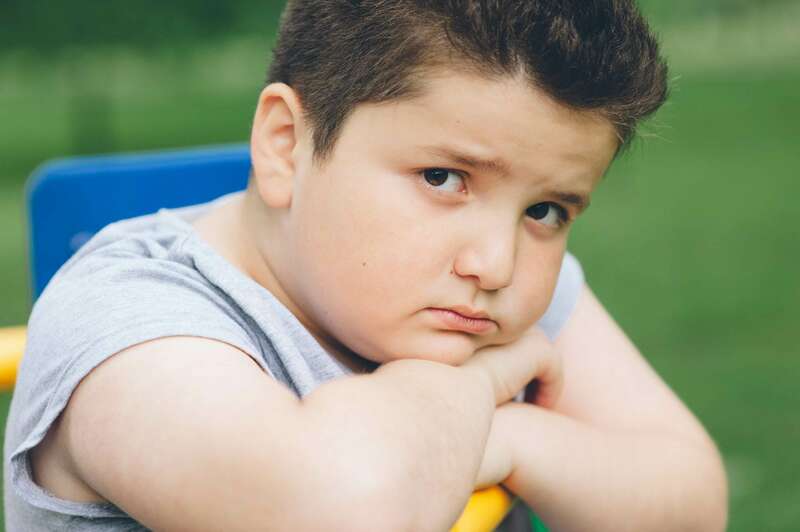 Kids who are allowed to feel hungry can better distinguish between what it physically feels like to feel hungry and emotional hunger like boredom. Yes, kids eat because they are bored, even at this early of an age. And sometimes we give them extra snacks because we need 15 minutes of peace. Don’t beat yourself up if you’ve used food as a way to pass the time. Yes, kids eat because they are bored, even at this early of an age. And sometimes we give them extra snacks because we need 15 minutes of peace. Don’t beat yourself up if you’ve used food to buy yourself a few minutes of peace! Some days it’s about survival! But, it is important to be mindful about some of the unintended consequences to teaching a child to eat when he or she is bored. One of the biggest consequences of doing this repeatedly is that a child can become overweight and possibly learn to eat his or her feelings. This doesn’t mean if you occasionally do it that you’re doomed! It just means it’s important to be mindful of the messages we send to kids about food. This doesn’t mean if you occasionally do it that you’re doomed! It just means it’s important to be mindful of the messages we send to kids about food. Find out how to talk to your child about his or her weight. Don’t encourage your kids to eat more, even if it’s healthy food. We don’t realize the unintended consequence of all this encouragement is that kids do not learn to listen to the messages their bodies are telling them about being full. They end up listening to external cues about eating (just eat one more bite) versus internal ones. Serve less food on your child’s plate, but don’t limit seconds. 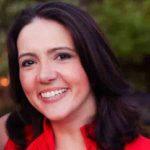 Rose suggests serving less food than you expect your kids to eat. She suggests we get our kids used to eating less rather than eating more. However, if they ask for seconds, absolutely give it to your child without a peep from you! Try to serve healthier food in general. Offer smaller snack portions. Cut brownies into bite-size squares and limit how many your child receives. If you make cookies, make them smaller. Studies show that adults and people will eat less overall sweets if they are smaller portions. Let your kids get hungry. If you are afraid of letting your kids feel hunger then you are teaching them to be afraid of the feeling, this is a scary life lesson. It’s healthy and natural for your kids to feel hungry. Don’t use food as a reward. You don’t want your child to associate food with love.Watch this video about food rewards. If they get an A on paper or have a great report from the teacher, try not to reward with food. Instead try to reward your child with an experience such as a game of miniature golf or another fun activity your child will like. For younger children, maybe it’s crafts, painting or stickers. Also, don’t use food as a bargaining chip. An example would be, if you eat two more bites of your green beans you can have one cookie. Don’t use food as a punishment. For example, if you don’t eat your vegetables you won’t receive dessert. Yes, that is the opposite of a reward. If your child doesn’t follow through on your reward then he will be punished by not getting what was offered. All of this leads to children developing unhealthy relationships with food that unfortunately often last a lifetime. Read our supporting article about why you shouldn’t put your child on a diet and what to do instead. Facts about Obesity in Children taken from the CDC’s website. 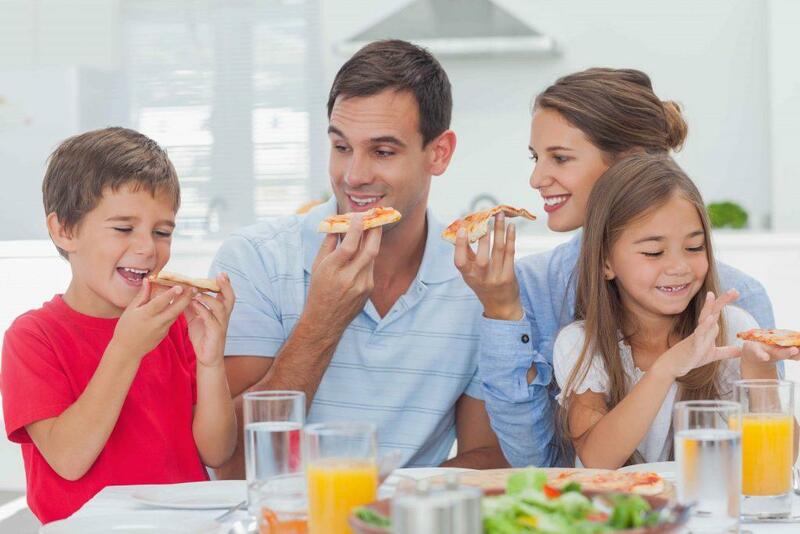 If you’re worried your child is an overeater, please speak with your Pediatrician. Also, educate yourself about your parenting habits surrounding food and how that may be affecting your child by reading more articles on our website.